A go-kart business has three main sources of income. They can either sell a kart ride to everyone, provide group service or offer continual payment plans for visitors. 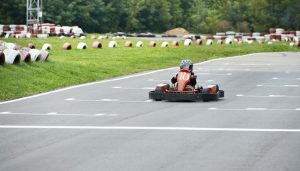 Most profitable go kart businesses have learned how to make good use of membership packages. By giving visitors payment plan options, they can guarantee that members frequently visit their track. Races are usually the primary source of income for a go-kart track but events sponsored by companies like Unibet Online are successful as well. In other cases, extra money can be made by supplying on-site protective gear or even conveniences, such as food and beverages. If a go-kart business operates from within a larger development, it will either be regarded as a diverse part of that encompassing entity, or as its very own company. If it is the latter, then it will be representing only itself within that facility, separate from the larger company. In this type of arrangement, the go kart business only sees profit after paying the larger company first. What’s the potential of your go kart business? Most go-kart businesses serve as contractors to much larger entities. Go kart recreational companies that are in these situations are not in complete control of their business’s growth. This means that their own ability to grow as a business is widely dependent on how well the bigger company attracts business. You must always consider how successful the overarching company has been before becoming a part of their facility. The potential of a go-kart business’s ability to expand, is majorly linked to the larger business’s own audience. Still, as an addition to that collective, a go- kart company can become a top seller. This is because Go-kart entertainment providers are very hard to find, which makes for a truly unique market. Also, if a go-kart company intends to remain independent, it can profit from a stable customer return rate. It is however very challenging to be a nationwide go-kart racing supplier. How much does starting your own go-kart business cost? The average cost of starting a go-kart business can range from $ 100,000 to $ 300,000 in expenditures due to a lot of start-ups expenses. The average amount necessary to rent a facility monthly, ranges between $2,400 to $4,000. This estimate correlates with the size of the facility. Facility owners will need to provide a storage unit, a vast array of karts, fuel, repair tools, insurance, track equipment and protective gear. As soon as you’re prepared to begin your go kart company, you will need to make sure your business is consistent with the law. The following list will help you in that department as well as save you valuable time and money. 1. Business Plan – Estimate startup costs, marketing, and set a realistic time frame. 2. Legal entity- A legal entity protects you from personal liability during lawsuits. 3. Tax Registration- State and federal tax registration is required for new businesses. 4. Business bank account- Keep your business’s finances separate and organized. 5. Business accounting- Keep record of finances and business activity to help it grow. 6. Permits and licenses- Permits and licenses help you avoid fines and business closing. 7. Business insurance- Insurance helps with employees or various type of damages. 8. Branding- Good branding sets your company apart from others. 9. Web presence- Online representation gives you reach and helps you inform customers.